Samsung Galaxy S10 Series and Galaxy Fold Launched in China - Playfuldroid! Through a dedicated launch event in China, Samsung announced the Galaxy S10 series for China. The Galaxy Fold which is the company’s first foldable smartphone was announced along with Galaxy S10e, Galaxy S10 and Galaxy S10+ smartphones. The Snapdragon 855 chipset powers the Galaxy S10 series in China. 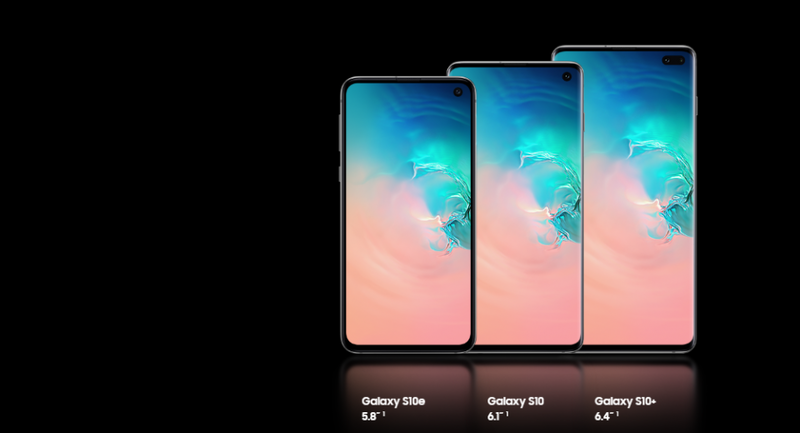 The Galaxy S10e has a 5.8-inch flat screen whereas the Galaxy S10 and S10+ are respectively with 6.1-inch and 6.4-inch S-AMOLED display with ultra-sonic fingerprint readers. The S10e has a side-mounted fingerprint reader. The S10e, S10 and S10+ are respectively packed with 3,100mAh, 3,400mAh and 4,000mAh batteries that carry support for fast charging and wireless charging. The One UI flavored Android 9 Pie OS is preinstalled on these phones. The S10e and S10 have 10-megapixel front-facing cameras placed inside in the display hole at the top-left corner. A pill-shaped display houses 10-megapixel + 8-megapixel dual selfie camera setup on the Galaxy S10+. The S10e has 12-megapixel + 16-megapixel dual camera setup. The S10 and S10+ have 12-megapixel + 12-megapixel + 16-megapixel rear-mounted triple rear cameras. The aforementioned Galaxy S10 series will be hitting the Chinese markets on March 8. Samsung did not launch the Galaxy S10 5G in China. Also, it did not confirm the price tag of Galaxy Fold, but only revealed that it will be coming to the country soon.